The Series 51 timer is an adjustable precise time delay control device. 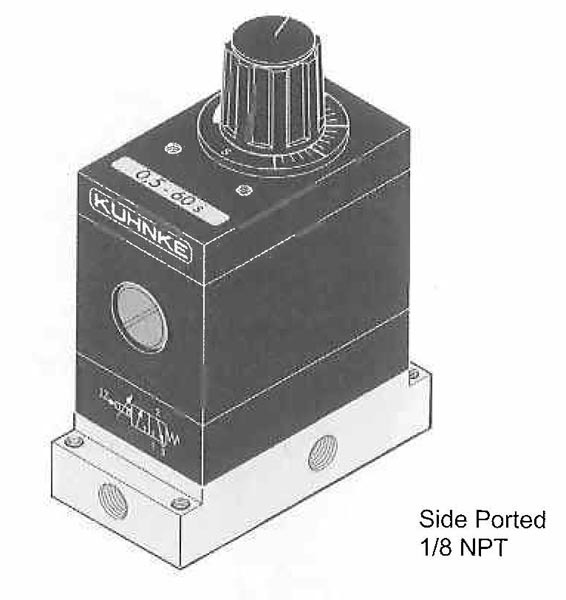 The timer is available with either an on delay- (NC) or off delay- (NO) 3 way built-in valve. It is designed for mounting along with valves or other logic devices and is available with 10-32 (M5) bottom ports, or 1/8" NPT side ports. Bottom ported timers can also be panel mounted using (2) threaded M3 inserts on the top cover. 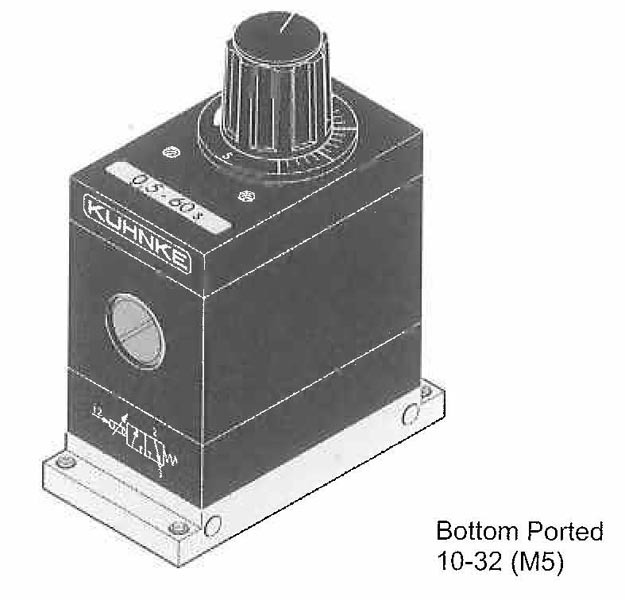 Timing operation can be set up in 2 ways; either via direct connection of the pressure line to be timed (1/8" NPT ported only) or via a separate pilot signal. When pressure is applied to the input (or pilot port) the timing sequence begins by setting a vacuum within the timer. Using atmospheric pressure (independent of line pressure), the timer begins the preset timing cycle. At the end of the cycle an internal 3 way valve is switched providing an output. The timer resets automatically after removal of the control signal.